Pardon the delays, but my computer troubles kept/keeps me busy, still, here's something I've been listening for a fair bit since yesterday, it's the Tin Audio T1. So why the old iPhone 4? You see the T1 has control buttons and a mic so I tried testing them out (also on Android) and they do work very well. Now with the iPhone 4, one of my minor quibbles is the kinda cold sound it provides, since the T1 is a pretty darn big 12.5mm single dynamic I thought hey, maybe it'll even out. So listening to Cake by the Ocean, the guitar strums sounded nice and somewhat thick, then the clapping came and it sounded pretty good and crisp too. I was expecting big waves of bass hits coz of the rather big driver, but when the bass hits came, it sounded clean and moderately hit my ears below my expectations of basshead bliss. Still, the music felt good, rhythmic and male vocals sounded good with a body that felt a bit meaty and pretty clear. Vocals are placed pretty much in the middle of the recording for both male and female which I found out when I tried listening to Sia and her Cheap Thrills, the sub-bass on this was pretty darn good, it feels like it extends pretty well down and vibrates at a nice rumbley pace. Not to expect really good technicality from this, I was a bit surprised to hear it has nice separation and stage, with pretty good separation in the mids. Speaking of rumble, I tried it on Lithium and the rumble, drums, bass, vocals all felt good to listen to even jam packed together, the guitar rumbles down the distortion nicely, the drums hit with enough force to be noticed and heard well among the vocals and other sounds like the cymbals hits, both light and hard sound nice and good without being harsh or sibilant. Though the top end sounds a little bit restrained, it's clear and has some sparkle due to the air this T1 has . Overall at first listen, this is a pretty good daily beater. It has enough punch in the frequency ranges to sound nice and balanced, warmth to keep your ears and heart comfy, and inline controls for mobile devices so you don't need to pull out your phone when listening to your tunes. There's pretty good isolation and a nice solid metal build for the shells and over all design looks chic. 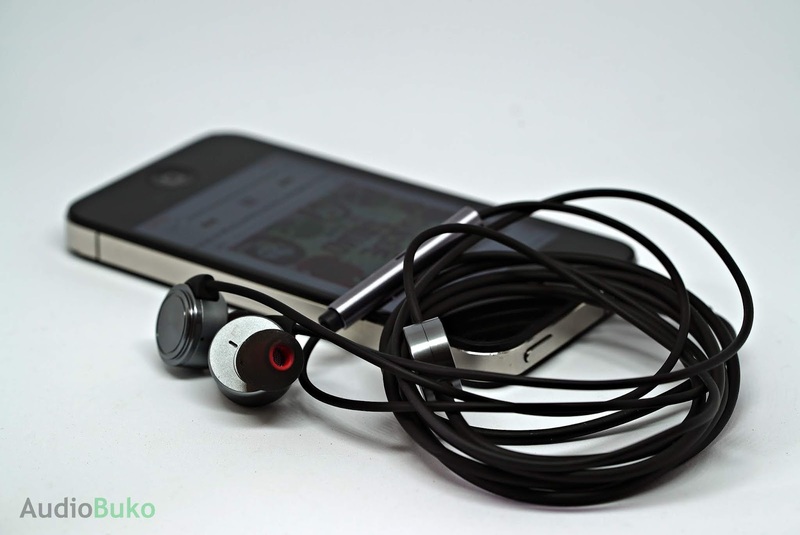 Stick around for the detailed review in a few days, this sounds like a pretty interesting IEM.